BT has been granted PSMF Verified Partner status by itSMF UK. The endorsement – the first stage in a major adoption of itSMF’s Professional Service Management Framework (PSMF) – follows a review of BT’s professional development practices, based on a pilot group drawn from across the business. BT will now be rolling out the PSMF Global recognition platform to 50 of its service management professionals, with a view to extending the initiative across the wider team over the coming months. itSMF UK CEO Barclay Rae said, “Many congratulations to the team at BT for their outstanding support and commitment to service management professionalism.” itSMF UK is the membership association for IT service management professionals. 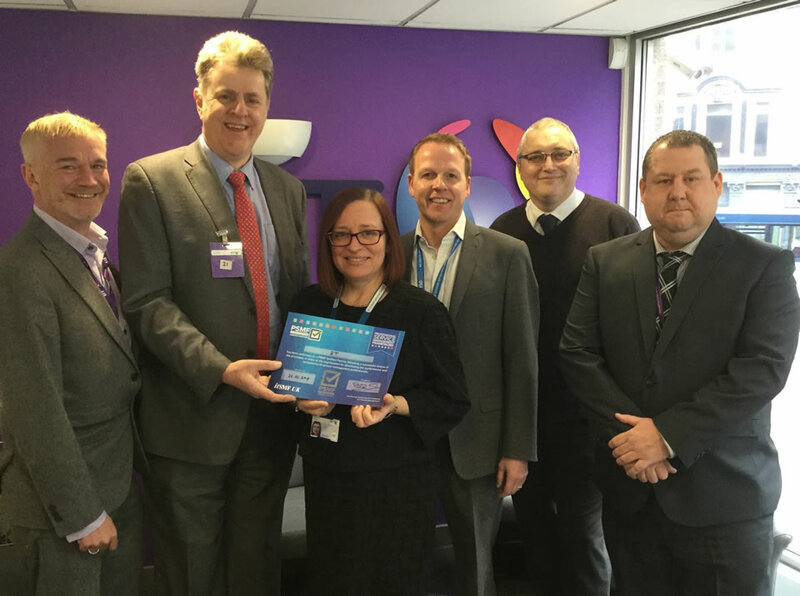 PSMF assessors Mark Lillycrop and John Noctor present the PSMF Verified Partnership certificate to Melanie Kirby and members of the BT management team.